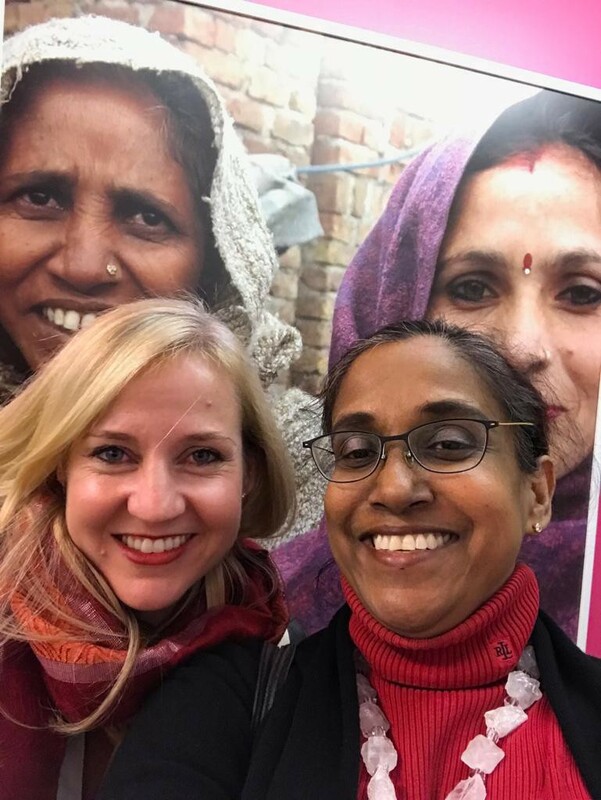 In November 2018, I attended yet another Gender Lens Investing workshop, this time in New York organized by Acumen. But I must say this one was definitely was well organized and very useful indeed. People didn’t leave the room more confused about gender lens investing than when they arrived — which most of the other workshops I have attended usually do- I have attended so many. I started hearing about the term “gender lens investing” at SOCAP meetings in San Francisco at least 5 years ago and later at USAID and other agencies holding meetings in Asia. I’ve also read almost all the available reports on it. What was frustrating to many, not just me, is that when you just think you understand “gender lens”, then “gender lens experts” throw out new phrases such as “ it is not just about counting women”, or “it is not just about access to capital for women entrepreneurs”. Ok, that sounds great, but how about elaborating what you mean by that? I don’t appreciate it when “experts” and “consultants” aim to complicate issues so that you feel you need to hire them to teach you more, rather than helping simplify and clarify so that more people can apply it to have more concrete results. When these phrases are thrown out in Asia by gender lens experts, without the right context of what it means, I have witnessed some male investors take these transposed comments like “investing in women entrepreneurs is not enough” to now mean it is ok to fund only male entrepreneurs as long as they somehow indirectly impact women as beneficiaries (ie not focusing on the real issues women in Asia face including the lack of empowerment and leadership). I have also witnessed male investors claim there is no pipeline of women entrepreneurs or leaders rather than admit that their own gender bias makes women invisible to them. That gets me riled up, as it allows the Asian patriarchy to pick and chose what it likes it to mean, and keep women as passive beneficiaries rather than change agents. There is already a strong unconscious bias that has built out of the success of microfinance that women are only capable of handling or only need small amounts of money. So, therefore, the funding gap remains for small and medium size women entrepreneurs significantly impacting the lives of many more micro-entrepreneurs under them. Even in the US, only 4% of VC funding goes to women, so it IS still about access to capital for women even in Asia. What the US “gender lens experts” may have meant by that phrase “it is not only about capital to women” is apparently that that is not enough- don’t just count women, ensure the impact is deeper than just that. But here in Asia, it is interpreted so differently when taken out of context. The Acumen workshop helped give the context among practitioners of where these terms came from and the contextual nature of the different approaches people would take. Also, the Acumen workshop helped us understand that “gender lens” is an evolving field and that all players are still learning and developing the field. Acumen’s culture of learning and humility enabled the sharing of experiences among the different players and frank and difficult conversations could happen. That is a great approach where practitioners sharing trial and errors of what works and what doesn’t. “Just do it and learn” was the key takeaway. Rather than people being afraid to make mistakes and never start. It was a refreshing difference for me from the other workshops where seem to be a one “right way” and everyone struggling to fully understand what gender lens really meant. From what I understood also, the pioneers as promoters of this term did have their own context, which is also commendable — -, they were trying to take “investing in women and girls” out of the philanthropic “feel good or do good” bucket and make it mainstream as a “women are good investments”. To see to how all sectors of business and finance benefit from using a “gender lens” to examine how businesses are positively impacted by a gender lens or may have a negative impact on women and girls. For example, we now know more about how climate change affects women and girls most, and yet they are also a sustainable solution to climate change issues. Thankfully today, we do have more data that it is good business to have a “gender lens” across the board and not in one single bucket. Good to have the context as, without it, it is hard to understand. But it also appears that the field is rapidly evolving to allow for more approaches that just connecting wall street to the world of development. There is actually not one “gender lens” but many “gender lenses”. There is also not just one way to measure gender impact. Good to know as we navigate this hype. It is not necessary to have all 3 but beneficial to have more than one category ticked off. Suzanne Biegel, founder of Catalyst at Large and of Gender Smart Investing ( http://www.catalystatlarge.com/about/), talked about how she uses these metrics to convince male-led founders of companies she invested into or was considering to invest into, to explore deeper the gender impact. When they incorporate more women in their leadership team, included women in the supply chain or better understood how their products and services impacted their key customers often women, then their businesses thrive. Fairness, she said was top of her mind. Some key phrases from the first panel included: “Intentionality is key,” many speakers said. It is important to ask these questions — -what is the purpose of a gender lens? Are you upping the game? Are we having conversations about power dynamics? Are we recognizing that the system of finance was made by men for men, so how can we make it more inclusive? How can we make sure there is fairness and equity? -are some key questions that I took away from the various speakers. These to me are the real key questions when “gender lens” is discussed in Asia. The second panel looked at different metrics to analyze the different approaches to “gender lens” Diego from Calvert shared how Calvert looked at their internal portfolio with a “gender lens” (ie privately held companies), and found that some of their findings differed from that of publicly listed companies. For example, while the greater level of gender participation impacting financial performance varies whether it is US-based or international based companies, and also % of gender participation also mattered (between 30–70%). International based companies were more impacted financially as well as lowered volatility with increased gender participation. It also mattered if we were talking about philanthropic dollars or investment dollars if investors would care about gender. Other speakers shared tools to help gender briefing, gender opportunity exploration, gender scoring tools, materiality mapping, and social impact. Acumen together with Unilever has also developed tools and published phase 1 of these tools already. The underlying theme being before using terms or tools, it is important to understand that context really matters. So overall, I left the workshop more empowered than more confused. It was also a pleasure to see more than 30% of the audience were men in the room also wanting to learn more about how they can make a better impact on women and girls. Ultimately, we need to move from women as a statistic to it being common sense to include women for business success. Thank you Acumen for giving the space for humility and learning where all voices matter, so that we can learn and we can rediscover our own voices too. This workshop truly helped me solidify why I had been so upset about previous gender lens investing workshops. I hope this attempt to share some of the gems of this workshop with you, and my own thoughts help you in your journey to learn more about gender lens investing too. Social entrepreneur and impact investor. Passionate about women empowerment, ending poverty and using tech for good. Co-founder of Angels of Impact and GetIT.